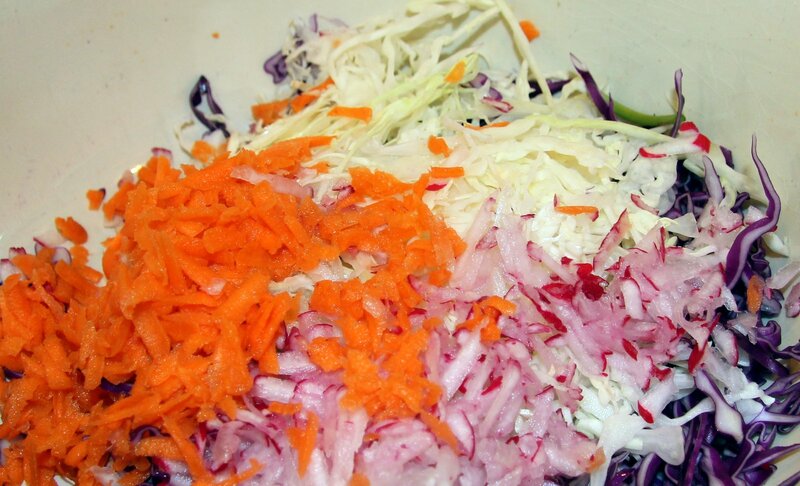 So, I bought two heads of cabbage at the market because I wanted to make an Asian style slaw and I wanted the two different colors, red and white. I made it, it was really good. It made enough for about eight people so we ate it for a couple days until it got too soggy. Then… and if you’ve ever innocently bought two heads (or even one, frankly) of cabbage before, you know what’s coming… I had to figure out what to do the remaining 7/8ths of each head!! That stuff just grows and grows as you shred it. 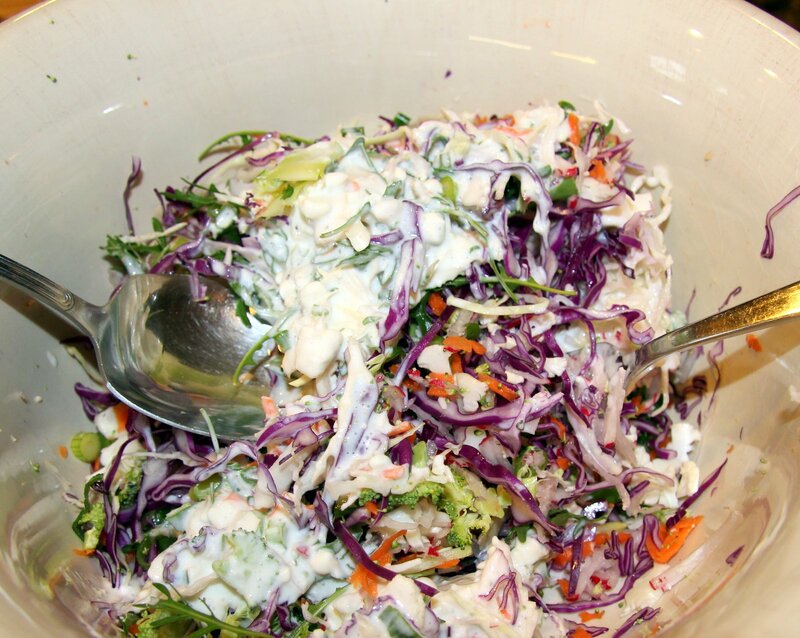 So, I’ve been experimenting with different styles of coleslaw. Luckily, cabbage is super healthy for you and I hate the traditional mayonnaise slathered kind that makes it not so healthy, so we’ve been eating quite well. Before you make the decision to substitute regular mayo for the nonfat Greek yogurt in this recipe, which you have every right to do (we are celebrating Independence Day tomorrow after all), let me lay out a few nutrition facts for you. 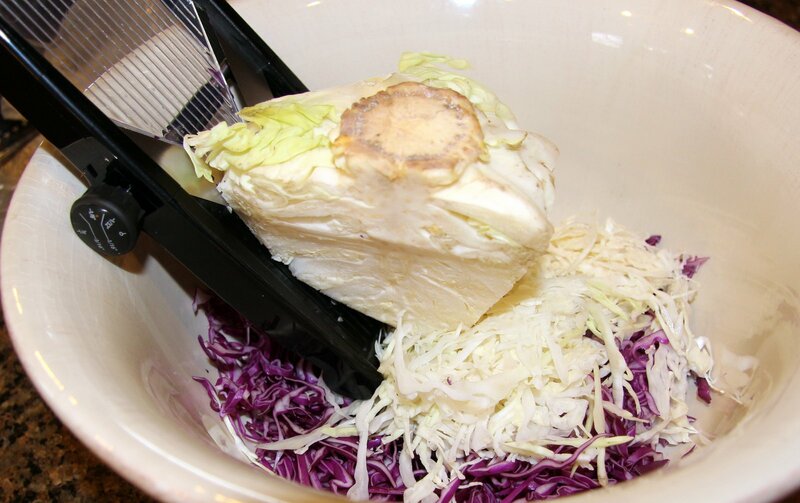 Using a handheld slicer, food processor, or sharp knife, slice cabbage in thin shreds in a large bowl. You may also purchase pre-shredded cabbage at your grocery store (I won’t tell). 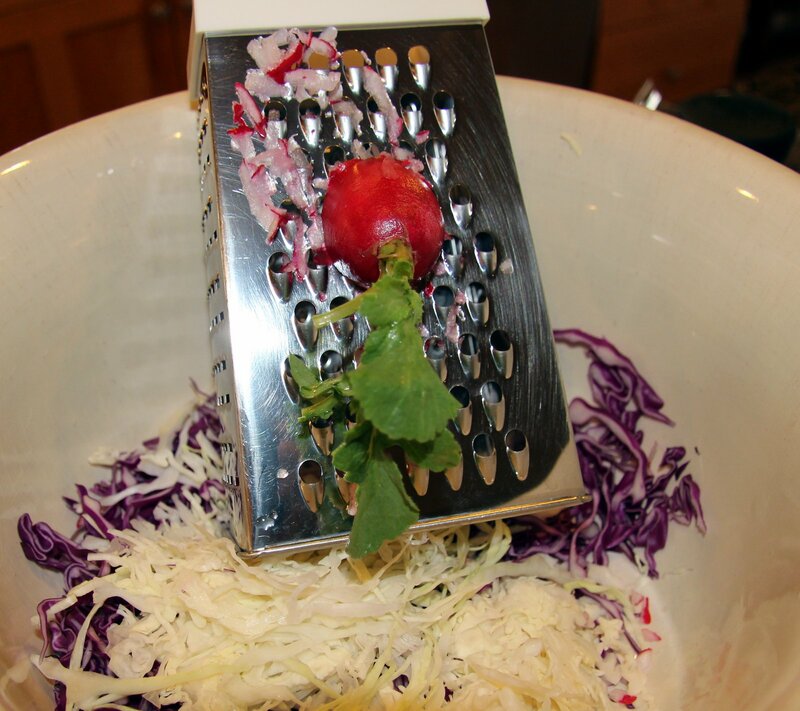 Grate in the radish, one at a time, watch those fingertips! I love the peppery flavor of the arugula in this – for me, it makes the dish. If you’re not a fan, you may skip it or substitute another herb you like. I’ve found cilantro pairs really well with blue cheese. 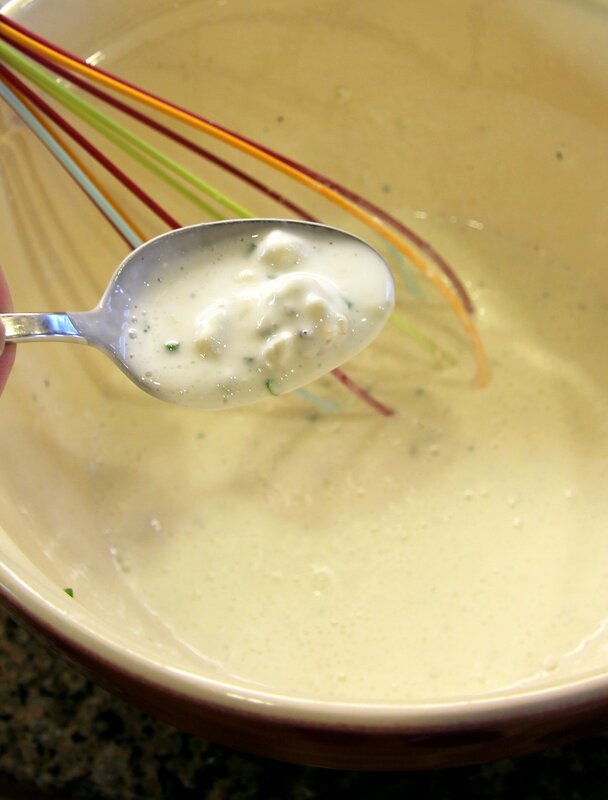 Make the dressing by combining yogurt, sour cream, lemon juice, herbs, garlic and onion in a medium size mixing bowl. 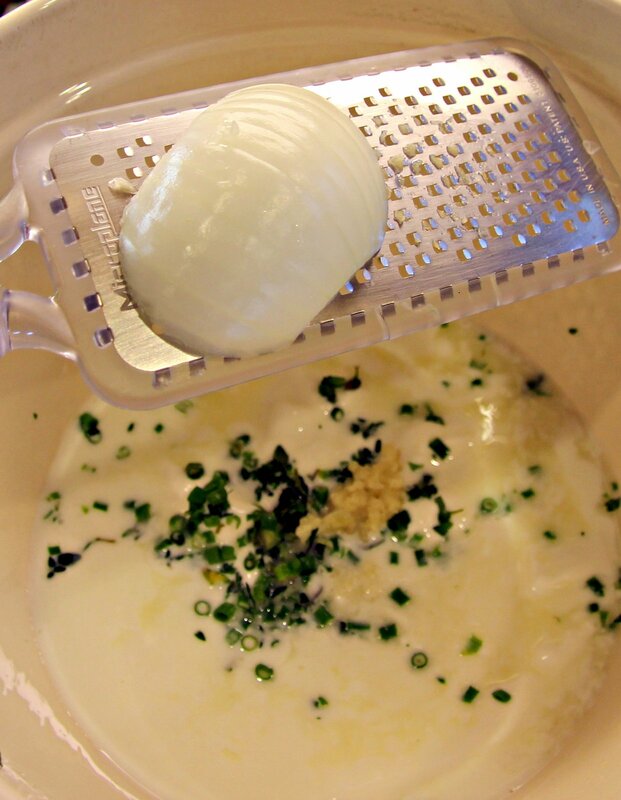 Grate the garlic and onion right over the bowl so you get all the juices. 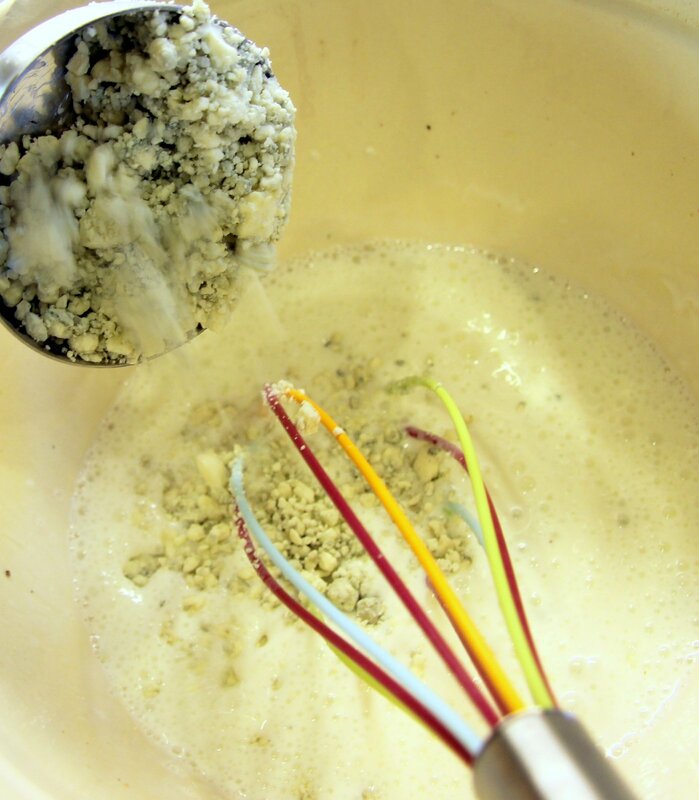 Add the blue cheese crumbles and whisk into the dressing, smashing them a bit to really blend in. 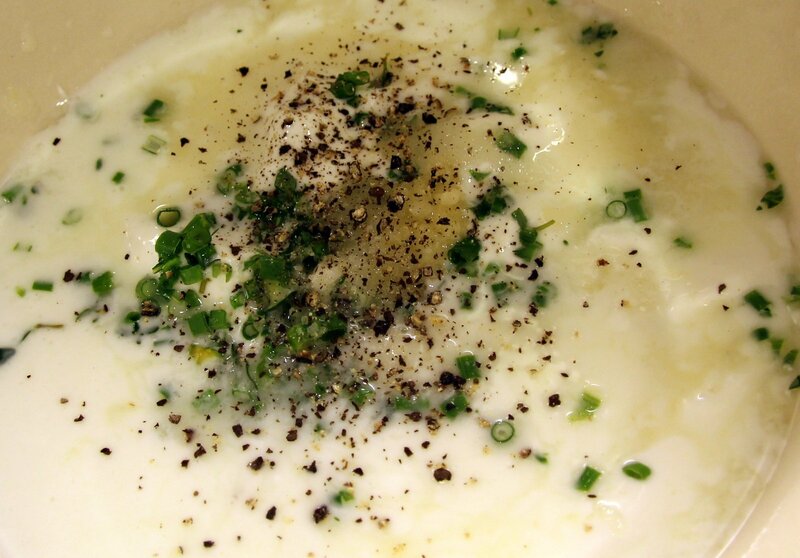 The dressing will be on the thinner side, feel free to add more yogurt or sour cream if you want it thicker. 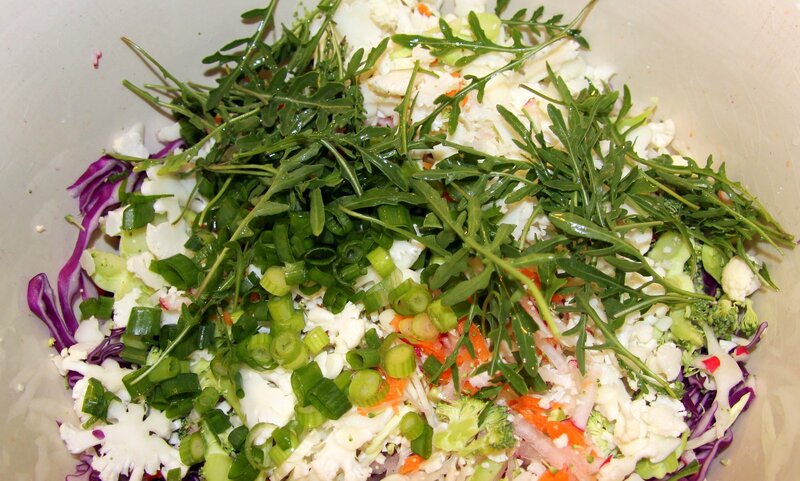 Toss the dressing in the salad and either serve immediately or refrigerate for a few hours. If it sits overnight it will become pretty soggy and lose some crunch- I don’t like that. Garnish with some radish, arugula and more blue cheese if you want to.